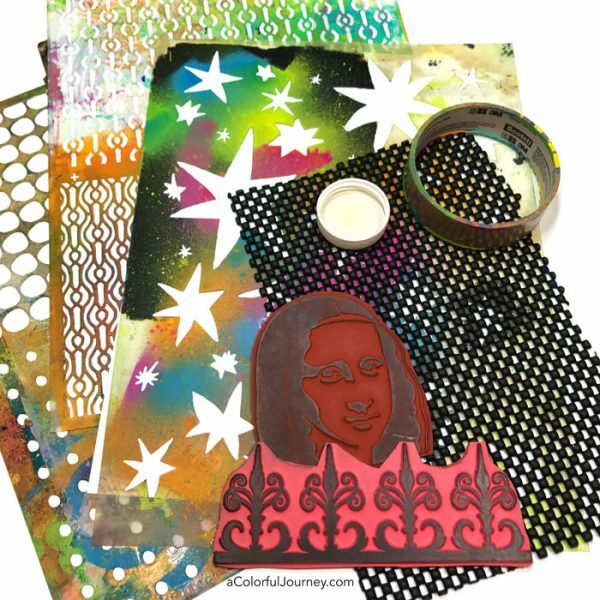 What are the dos and don’ts for gel printing? The most important is Do have fun and Don’t worry about doing it the “right” way because there is no right way…just the way you enjoy! 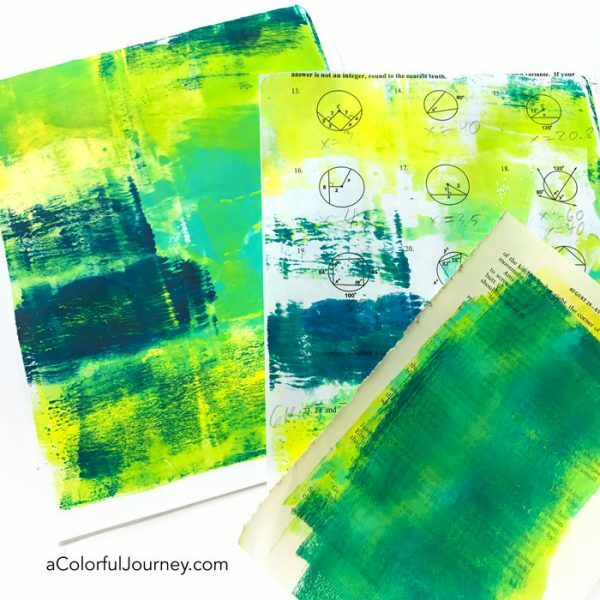 Do use a gel plate with the squish factor, like the Gel Press plates. Don’t use a hard plate, they don’t release the paint nearly as well. 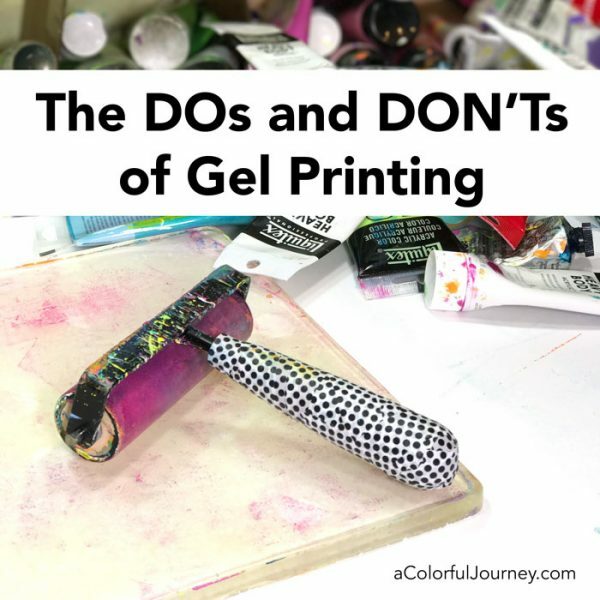 Watch The Dos and Don’ts of Gel Printing on Youtube. Do use any acrylic paint. 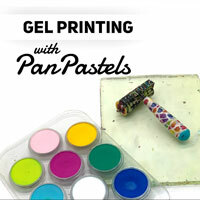 Don’t worry if the paint is the correct type for gel printing. All acrylic paints work on it! Do get your favorite colors, even if they are different brands of paint. Don’t worry, paint doesn’t have cooties and the different brands can all play nicely together. Do grab whatever papers you have around. 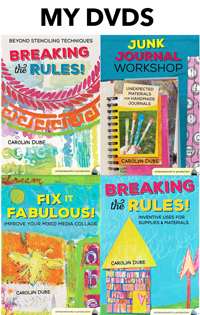 Junk mail, white paper, cardstock, geometry homework, old scrapbook paper, book pages, the phone book, whatever you have! 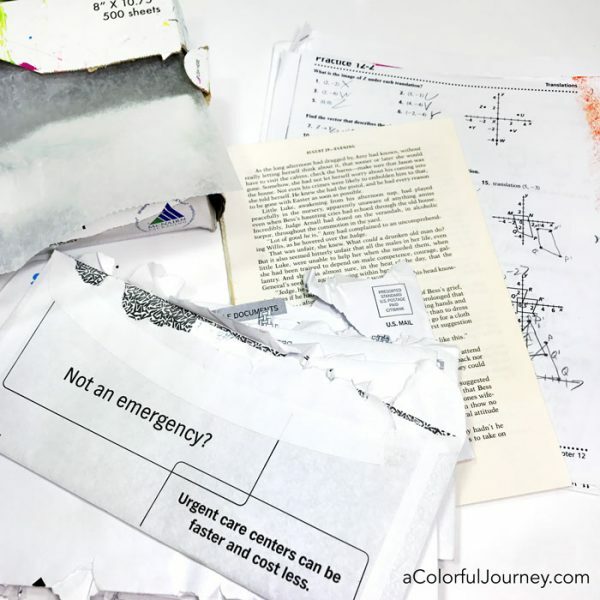 Don’t use heavily coated papers (like print at home glossy photo paper) since the coating might leave a residue on the plate and fragile extra vintage crumbling papers because well…they just crumble fall apart when you print with them. Do look through your house and your stash of supplies to find things to add texture and pattern. Shelf liner, caps, bottles, cardboard from a finished roll of masking tape, stencils, rubber stamps- anything can become texture or pattern! Don’t overlook anything. You might be surprised what fun textures you can create with everyday items…like pasta. Yes, I used dried pasta and of course, there’s a video of it. Do make some ghost prints. Don’t be afraid, ghost prints are not the paranormal, they are they 2nd or so 3rd pulls that have less paint on them and a softer look (hence the ghost name) than the very first pull. 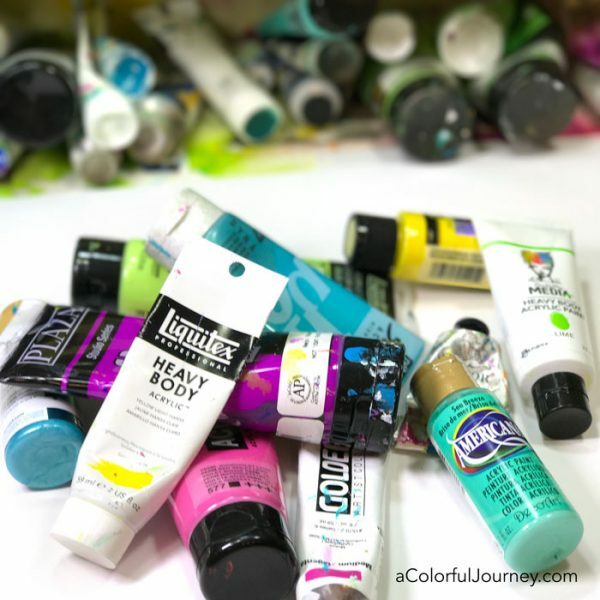 Do have fun and go a little wild and crazy with that paint! Don’t be afraid to take a risk…after all it’s just paint and paper. It’s not like we are walking a tightrope 50 feet in the air without a net. Do put the amount of paint on the plate that you like. Don’t worry if it is the right amount. Let yourself experiment and find the amounts that feel best to you. Some people like thin precise layers of paint on the plate. I prefer to put a river of color on the plate. No wrong amount, it just gives you different looks. 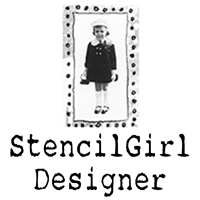 Do make sure you have good contact between the paper and the paint when using a stencil especially if using cardstock. The thicker the paper the more you need make sure you have that paper paint contact. Don’t forget to take a pull of the paint from under the stencil. There is magic under there. Do let the layers build up. Don’t worry if you don’t like one layer – just add another layer on top of it. 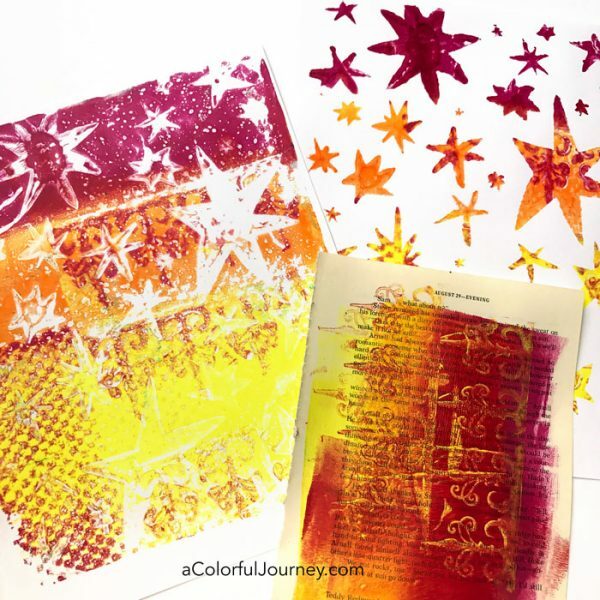 Do make lots of prints that way you will have lots of opportunities to create prints you love. Don’t worry if every print isn’t magical on the first pull. You can always print right on top of those prints. So often the print I thought was yuck in the beginning becomes my favorite after a few more layers. Do clean it if it brings you joy to clean it. My plates frequently have dried paint on them because cleaning does not bring me joy. Don’t clean it if it does not bring you joy to clean it. I rarely ever clean my plates. They don’t look factory perfect, but they don’t have to look that way to make magical prints. 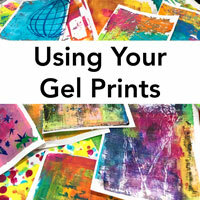 Gel Printing Workshops I offer both in person and online workshops. 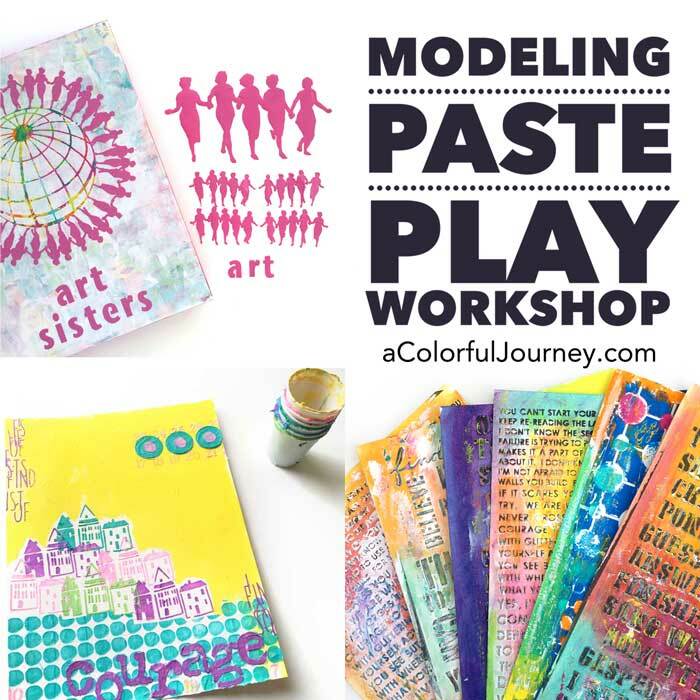 The most up to date list and workshops can be found here. Thanks for showing us the proper way to play! I really need to let go with my gel plate! Where did you get the stencil that you used in this video, with the hook at top for hanging it had small circles and larger circles at the bottom? I think I’m going to look forward to junk mail now! Love your style and humor. 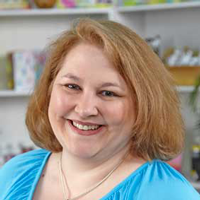 You blog and videos your classes are inspiring. Thanks Carolyn. Beautiful! Thanks for your generosity . What a wonderful and witty tutorial. You present yourself and your ideas so professionally. I learned a lot and will be back for more. Thank you. 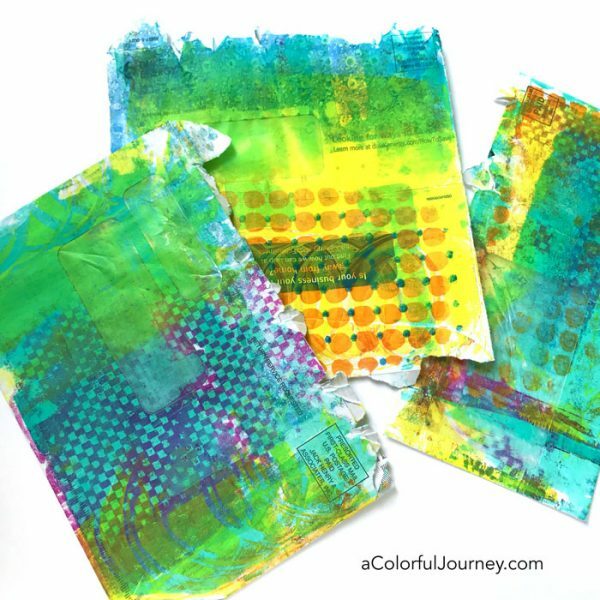 Starting my first gel printing journey today and had to re-watch you starter video. You make me feel competent and energized. Thank you for your happy outlook! Some of the prints I’ve made have dried and are warped. I want to use them to make greeting cards. Should I use something like a decoupage to finish them on card stock and smooth them out? I usually use double faced tape to stick layers of paper to card stock, but these prints are crispy and not flattened. Put them between 2 heavy books overnight and that should flatten them back out Joyce. I found you on Pinterest. Am new to all this but very keen to print my own papers. Seen several tutorials but yours is truly inspirational. Love your delivery and the motivation you impart. Thank you for helping me with my journey. Lots of good wishes, nervous potential crafter Su 🇬🇧. I’m a woodturner. I make spinning tops that I like to color wildly. I’ve done nice marbling. I’m wondering if it’s possible to use a gel plate to color a contoured wooden surface, like the top of a spinning top. I’m thinking about drilling a round hole in the gel plate to accommodate the “spinner,” then pressing the top into the gel and rocking it around to color its convex contour. Does this sound at all reasonable? I’m new to this and I had a question. My brayer seems to slip and slide on the plate. Is my paint too wet? Or ffo I have the wrong type of barter.